Other great $0 Down and Sign & Drive Lease Specials are available. Visit Tafel Motors for details. $389 + tax per month / 36 months. Closed-end lease based on qualifying at authorized Mercedes-Benz dealerships credit through Mercedes-Benz Financial Services. Advertised 36-month lease based on a gross capitalized cost of $36,924. Includes destination charge. Excludes title, taxes, registration and license fees, insurance, dealer prep, and additional options. Total payments equal $14,004. Cash Due at Signing $3837. Includes Capitalized cost reduction $2653., $795 acquisition fee, and first month’s payment of $389. No security deposit required / 10,000 miles per year. Penalty for excess mileage. MSRP $38,745 Ends April 30, 2019. $479 + tax per month / 36 months. Closed-end lease based on qualifying at authorized Mercedes-Benz dealerships credit through Mercedes-Benz Financial Services. Advertised 36-month lease based on a gross capitalized cost of $42,367. Includes destination charge. Excludes title, taxes, registration and license fees, insurance, dealer prep, and additional options. Total lease payments equal $17,244. Cash Due at Signing $4373. Includes Capitalized cost reduction $3099., $795 acquisition fee, and first month’s payment of $479. No security deposit required / 10,000 miles per year. Penalty for excess mileage. MSRP $44,945. Ends April 30, 2019. $339 + tax per month / 36 months. 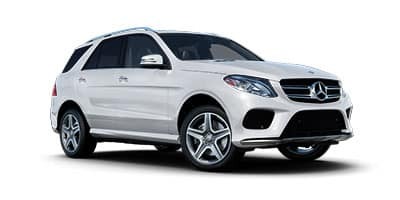 Closed-end lease based on qualifying at authorized Mercedes-Benz dealerships credit through Mercedes-Benz Financial Services. Advertised 36-month lease based on a gross capitalized cost of $36,177. Includes destination charge. Excludes title, taxes, registration and license fees, insurance, dealer prep, and additional options. Total lease payments equal $12,204. Cash Due at Signing $3787. Includes Capitalized cost reduction $2653., $795 acquisition fee, and first month’s payment of $339. No security deposit required / 10,000 miles per year. Penalty for excess mileage. MSRP $37,895. Ends April 30, 2019. *For qualified customers only. 1.99% APR financing for up to 72 months at $14.75 per month, per $1,000 financed. Excludes leases and balloon contracts. Available only at participating authorized Mercedes-Benz dealers through Mercedes-Benz Financial Services. Must take delivery of vehicle by April 30, 2019. Subject to credit approval by lender. Rate applies only to Mercedes-Benz 2019 CLA 250 models. Not everyone will qualify. See your authorized Mercedes-Benz dealer for complete details on this and other finance offers. Ends April 30, 2019. *For qualified customers only. 3.99% APR financing for up to 72 months at $15.64 per month, per $1,000 financed. Excludes leases and balloon contracts. Available only at participating authorized Mercedes-Benz dealers through Mercedes-Benz Financial Services. Must take delivery of vehicle by April 30, 2019. Subject to credit approval by lender. Rate applies only to Mercedes-Benz 2019 E 300, E53 & E450 Sedan models. Not everyone will qualify. See your authorized Mercedes-Benz dealer for complete details on this and other finance offers. Ends April 30, 2019. $629 + tax per month / 36 months. Closed-end lease based on qualifying at authorized Mercedes-Benz dealerships credit through Mercedes-Benz Financial Services. Advertised 36-month lease based on a gross capitalized cost of $57,502. Includes destination charge. Excludes title, taxes, registration and license fees, insurance, dealer prep, and additional options. Total payments equal $22,644. Cash Due at Signing $5823. Includes Capitalized cost reduction $4399., $795 acquisition fee, and first month’s payment of $629. No security deposit required / 10,000 miles per year. Penalty for excess mileage. MSRP $60,595. Ends April 30, 2019.